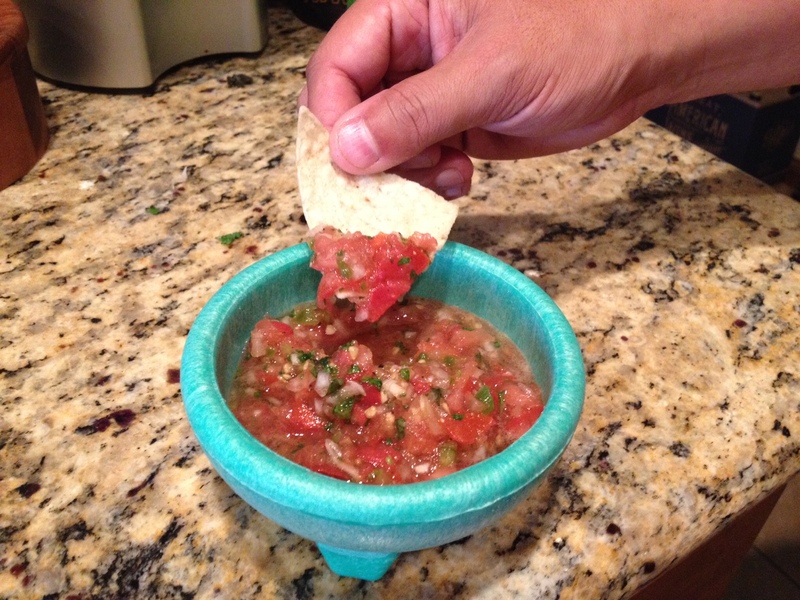 A Pinch of Salt, A Dash of Sass.Fresh Salsa - Pico de Gallo! - A Pinch of Salt, A Dash of Sass. 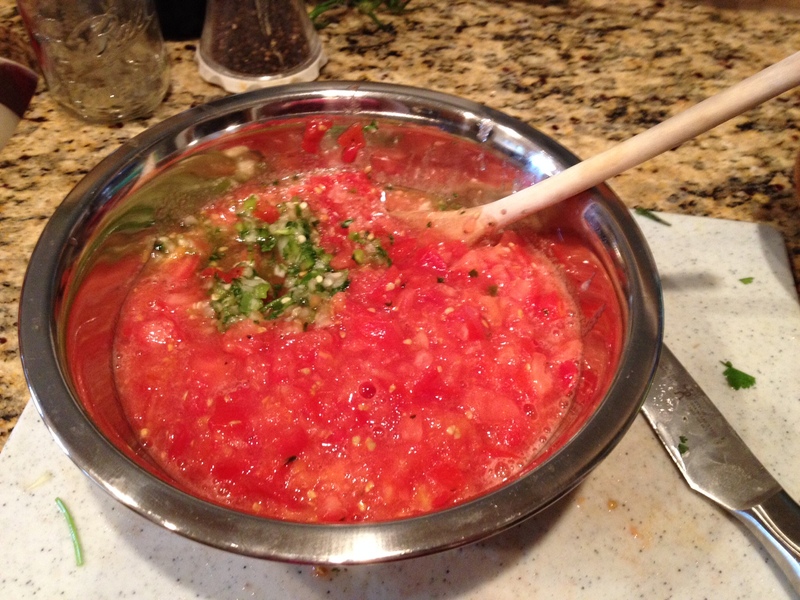 If you have a food processor or food chopper, you can use it to make salsa. 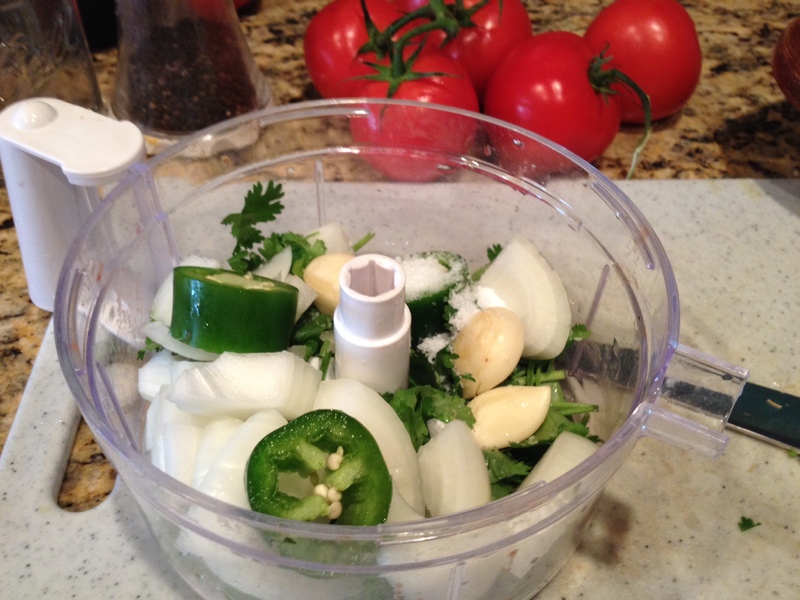 I have a hand-crank one that I just call the “salsa thingy,” and it’s sort of been with me forever. 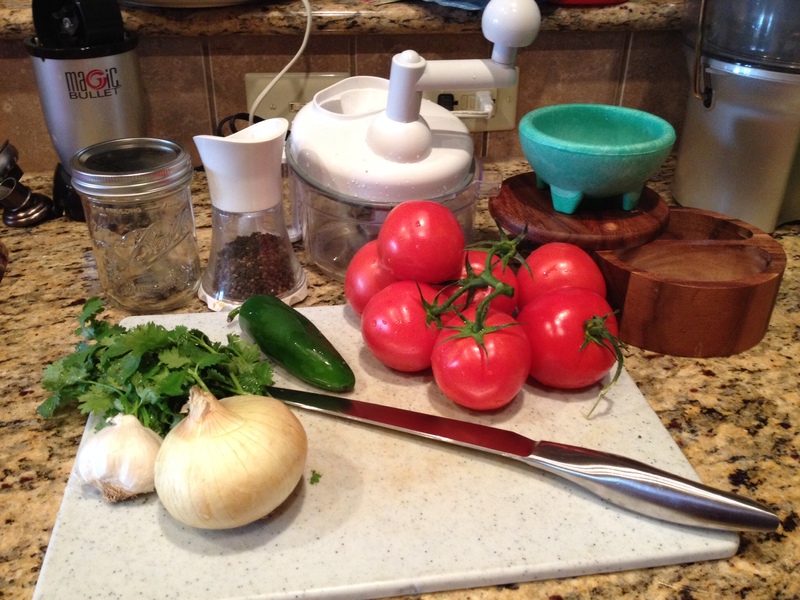 It’s my go-to salsa tool. You can also just chop everything up yourself if you want — it’ll take you longer, but it’ll still be delicious and it’ll be more of a super chunky less juicy salsa like pico de gallo. I got mine on Amazon for about $10, so they’re easy to find and cheap for the hand-operated ones. Mine paid for itself in the first month. Just a suggestion, but as always, go with what’s comfortable for you! This isn’t a super-specific quantities recipe, it’s more of a how-to or a suggested method because everyone’s taste is different. 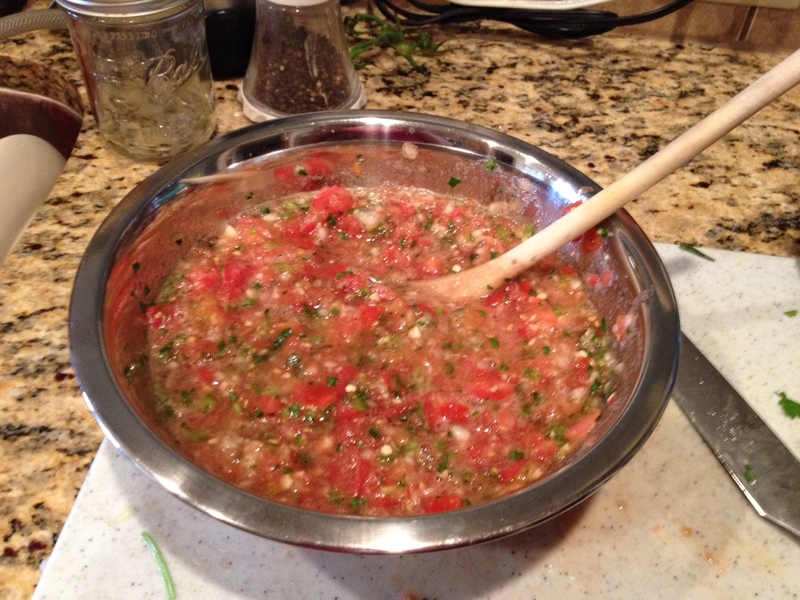 But, here’s what I used to make what I call a “medium batch” of salsa. In batches, put cut veggies into your food chopper and chop until fine. Add veggies to a large bowl as each batch is finished chopping. Put the lime in the coconut and shake Stir everything together, add lime juice, salt and pepper, and taste. Stash some in a jar so you don’t eat it all. Then let everyone eat the rest! Y’all click right here for my super easy guacamole recipe! Do this. Be a hero. 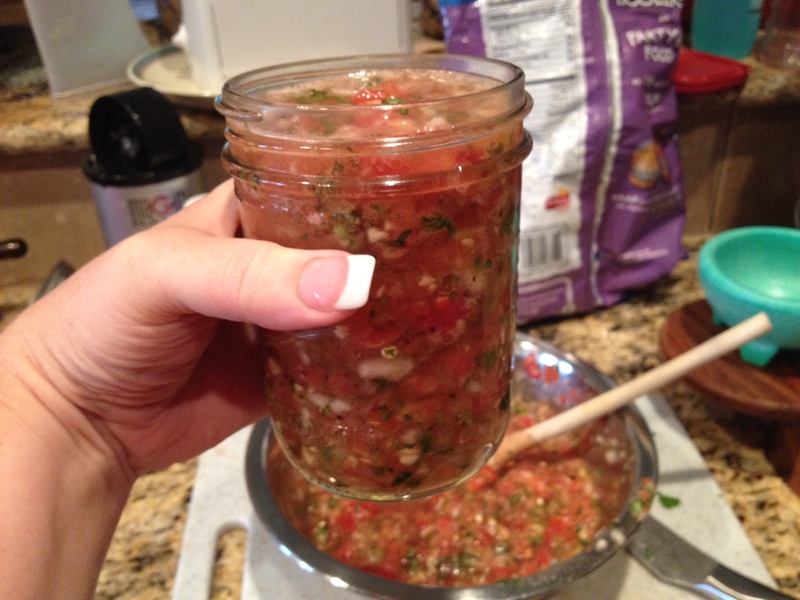 Inexpensive, fresh and bright salsa to use as a condiment, a snack, or an ingredient in Mexican or Tex-Mex cooking. Remove stem end from tomatoes and jalapeno and cut each into quarters. For less heat, seed and de-vein the jalapeno (be careful and don't rub your eyes!) Peel and quarter onion. Peel garlic cloves. Tear the leafy tops off of one half the bunch of cilantro. In batches, add veggies to a chopper or food processor and chop until fine. Tomatoes will become juicy. When each batch is chopped evenly, transfer to a large bowl. Mix all the veggies together until they look like salsa. Taste. 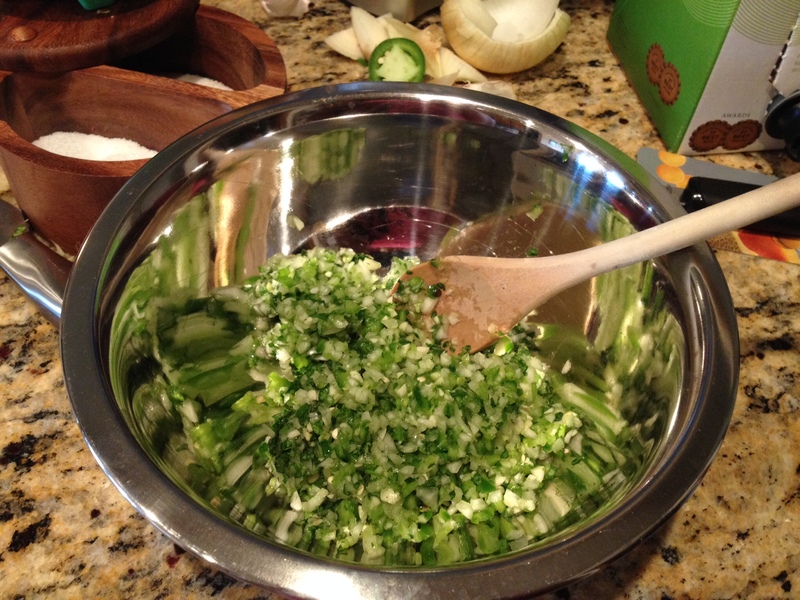 Add more jalapeno, cilantro or garlic if desired. Add lime juice, 1 Tbsp salt and 1 Tbsp pepper to salsa. Mix and taste. If you will be eating this with salted corn chips, make sure to taste it on a chip so you don't over-salt. Adjust seasoning to your liking. Pack some of the salsa into an airtight container so you will have some for later, because if you're like me then you and your guests will probably demolish the salsa you put out to snack on!